There have been many guides about SEO books that you should read. Mostly, they are usually all about SEO, one right after the other. I wanted to do something different with this post and provide some different educational material that spans all of the components of modern SEO. The thing about SEO: it doesn’t work in a vacuum. It works well in tandem with other website marketing disciplines like content marketing, social media, analytics, and others. That’s why as part of this list I am providing you with the best books I have enjoyed and identified with as part of the SEO ecosystem of knowledge. Enjoy, and happy reading! 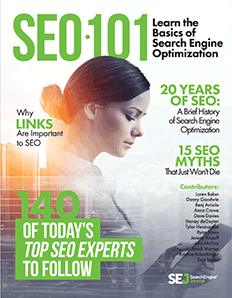 This is a shameless plug for Search Engine Journal’s latest guide to SEO, just released earlier this month. SEO 101 is a large ebook of around 324 pages covering the basics of SEO – you don’t want to miss this one! It really is one of the best books available if you want an introductory level book on SEO. You can download your guide here. This is one of the fundamental must-reads in our industry. 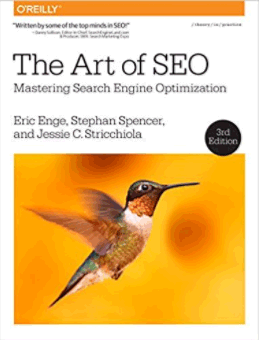 Whether you are an SEO beginner or a seasoned professional, Eric Enge’s The Art of SEO is a great place to go to get started or for a refresher of your SEO skills. Eric talks about the search engine basics: their history, how they evaluate content, and how you can understand what search engines see when they spider content. You will also gain a solid education in the areas of SEO planning, the stages of SEO implementations, keyword research, SEO-friendly website development, content marketing, social media and its role in SEO; you will also find updated information on the latest algorithmic factors to consider like Panda, Penguin, and search engine penalties. For one of the best in-depth educational books on SEO in our increasingly complex and ever-evolving industry, Eric’s book should be a staple of any SEO’s library. 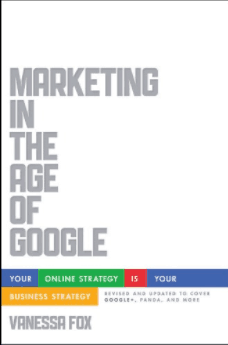 If you’re just getting started in SEO, or you aren’t very technically-inclined (or even if you are, and you want deep information), this is the book you should read. Clay lays out his strategies and all the basics you need to know. This is one of the best books you can read if you want to find out what your SEO staff is doing or if you want to improve your ability to spot what they aren’t doing. The best part is, all the updating and research has already been done for you. Clay discusses keyword strategy, linking strategy, content, web design, programming, as well as everything involved in creating an SEO-friendly site. 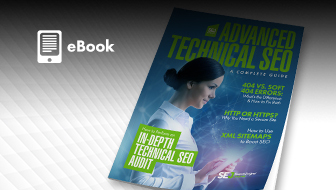 He also dives deep into the technical details of his methods, so this is a great book that can be used as a crash course or a refresher for the experienced SEO. This is one of those classics that belong in any SEO’s library. 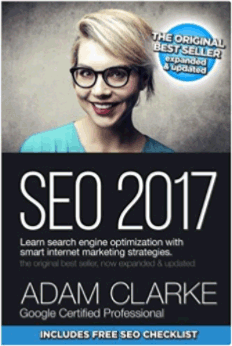 No list of SEO books you should read would be complete without the well-known “SEO 2017: Learn Search Engine Optimization With Smart Internet Marketing Strategies” by Adam Clarke. Clarke writes about how Google works, a history of SEO methods that no longer work, including how Google ranks sites now. He also talks about keyword research, on-page SEO, link building, social media and its place in the SEO ecosystem, website analytics, troubleshooting SEO problems, local SEO for businesses, and structured data. 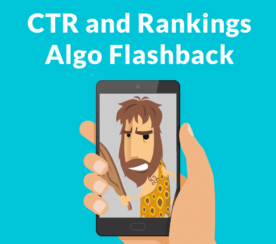 Clarke also provides a history of Google algorithm updates, and provides a look into the future. You will also get a bonus chapter in which Clarek provides an introductory guide to PPC advertising with Google. This is one of those books that comes along once in a while: you know, one of those books that makes you go “wow”. In a good way. Fox, who is also a talented writer in her own right, and she explains in a deep dive while also keeping things simple for the layperson: why anyone in business as an owner or marketer should know about how search works. Integration into things like business processes is also discussed in great detail. Eric Ward was a link building pioneer who laid foundations for modern link building. As one of the industry’s greats, it makes sense that he would write a book on the Ultimate Guide to his craft. In this book, Ward detailed his processes for finding effective links. Things like link opportunity analyses for your niche, how to manually qualify link prospects, and more. 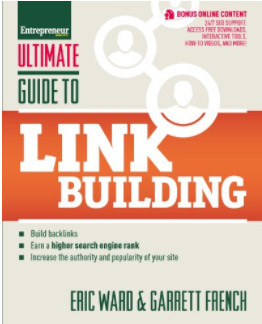 If you want to learn about link building, Ward’s book is the place to go just for the sheer volume of his information. You will be building links for days to promote your website with his strategies. Paddy Moogan is a well-known link building professional. 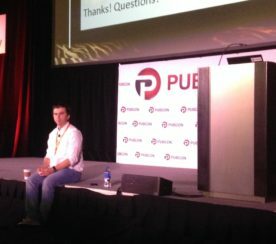 He is responsible for writing one of the most comprehensive works of writing on link building I’ve ever seen. 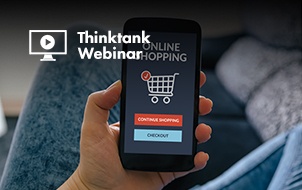 From the basics to the history of link building, to planning and executing link building campaigns, to a wide variety of techniques to add to your link building arsenal, Moogan dives deep into a plethora of exciting techniques you can acquire. While this book was written in 2015, purchasing the book will give you a significant edge with updates when you purchase the license. 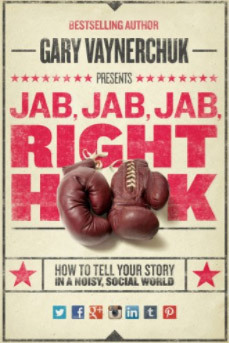 If you aren’t familiar with content marketing, but you want to learn how it’s done, this is the book for you. 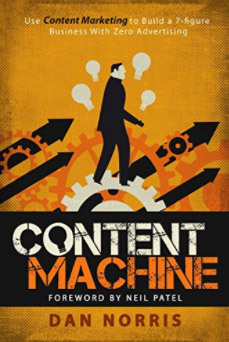 This book gives you the nuts and bolts of the mechanics of content marketing. It shows you how to get noticed, how to help people with your content, how to build relationships with your content, all important factors to build trust and authority that Google will love. 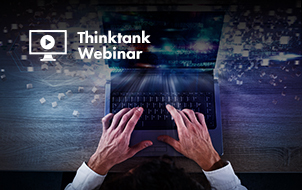 Among the topics Norris covers include content marketing basics, high-quality content, and how to scale the content machine. If you want to get into the nitty-gritty details about content marketing, take the time to read and engage with the strategies in this book. This is one of the most thorough guides on putting together great content that I have ever seen. It is a combination of the fundamentals of writing and the fundamentals of content marketing. 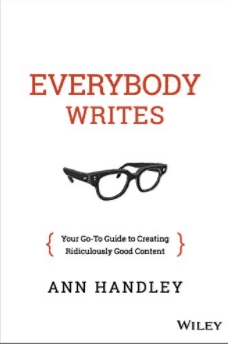 Handley teaches you how to write great content that also has style, panache, correct punctuation, and proper grammar. 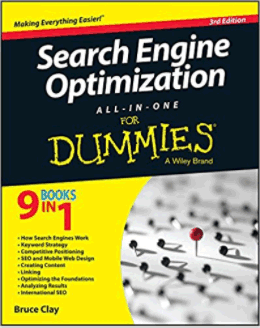 I can’t think of any other book as a companion to SEO that is as fundamental as this one. This book is great for anyone who is a beginner, or a seasoned SEO practitioner who needs a refresher. You’re probably wondering why social media books are here in this list. Yes, it’s true – social media doesn’t help rankings. But, that’s not why this section is here. This section is here because every business needs to build its online presence and relationships with potential consumers. Creating a well-rounded online marketing strategy that includes the various components of SEO is something that will help build that all-important trust and authority your website needs. That is where white hat SEO is going these days, and it is something that will help make your break your online marketing success. Don’t think of social media as a rankings vehicle. 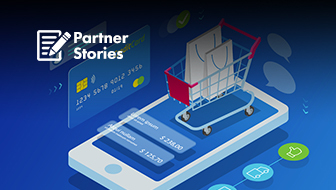 Think of it as a way to create relationships with potential consumers. If you aren’t familiar with Guy Kawasaki, I recommend getting familiar with who he is quick. He is one of the most influential social media marketers of our time. Kawasaki’s book isn’t disappointing in the least. He covers everything from Twitter to blogging, getting more followers, how to optimize your social media profile, how to run Google+ Hangouts, and much more. His book is absolutely no fluff and contains common-sense advice about making sure your social media presence is one that will help people like you more online. This is one of those books that lays things out in an easy-to-read, easy-to-understand manner, even for newbies. 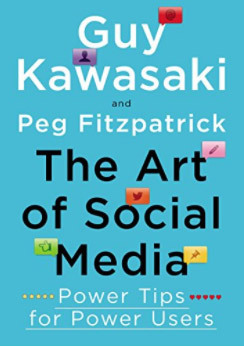 For those who are not up and up on the latest in-the-know on social media marketing, this is one of the best books to get your feet wet with. This is more of a general introduction, so if you are looking for more specific strategies, this isn’t the book for you. SEO is constantly changing. Modern SEO nowadays includes an ecosystem of technologies and methods that should be part of your gears of doing business. Not everything is conducive to higher rankings, such as social media. But the social media component helps you find real people as customers, rather than traffic numbers that may or may not convert. 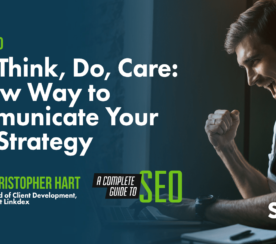 Every component of SEO works together, and a fundamental education in all of the components is something that is necessary for perpetuating a successful online presence. Screenshots of Book Covers by Brian Harnish. Taken October 2017.